LOL… Yep, my all-natural, non-DEET repellant seemed to make those mosquitoes just laugh. 🙂 As soon as I stepped into the swamp, I was nearly yelling…what the…!?!? But of course I stayed. May I suggest a low tech compass or a high tech GPS unit, and insect repellent. I *AM* on the hunt for a hiking GPS unit, though… Any suggestions are helpful! Researching them has been a bit of a bear! I have a DeLorme PN 40, it’s OK, but it isn’t user friendly for a non-geek, and battery life is the pits. I haven’t looked at them lately to see if they have become easier to use. I just had mine down pat, then I had to do a firmware update to enable it to work with the newest maps, and everything changed as far as how it functions, and I haven’t spent the time with it to learn it all over again. Oh, and of course the firmware update that changed everything didn’t come with any instructions at all as far as all the new menus and options, which has lengthened the learning curve considerably. Ugh, that doesn’t help the user-friendly issue!! I’m definitely in the non-geek class (NOT the math / engineer type, to put it politely), so I’ll probably need another brand. But thanks for the info! The search begins anew…. I just had an idea, you may want to see if you can download the user manuals of several current models and browse through them to see how user friendly they are. Mine is 5 years old, I’m sure that the newer models are better. when i was very young, i got lost in the woods; after that i seemed to keep an internal compass working at all times! we don’t have the fogs of mosquitoes like in the southern usa.. of course the mosquitoes here carry dengue and malaria, so we have to be on guard for even one. Oh definitely, we’ve had malaria scares here as well. 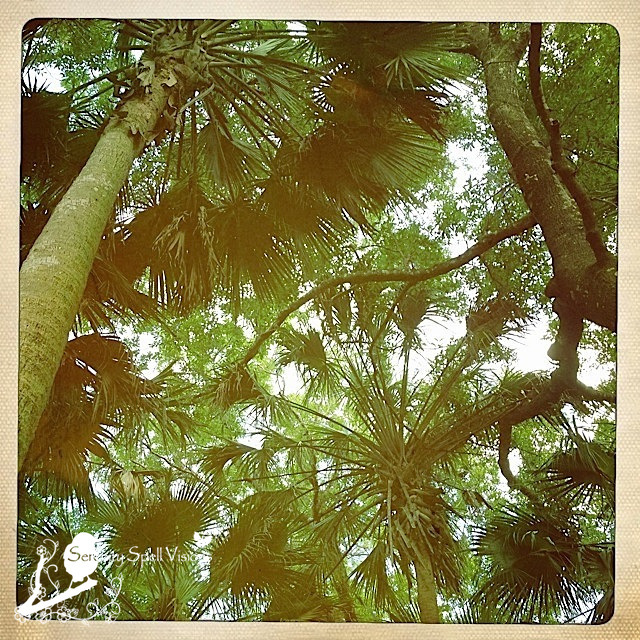 But my all-natural, non-DEET repellant seemed to make our Everglades mosquitoes just laugh. I should have known. And yet, I stayed. Sheesh. I imagine you will meet a forest-ranging-tree-hugging poet who loves the forest swamps as much as you do. Then, neither of you will care at all about insect bites. Hahahah — I love it! You’re the best. 🙂 What do they say about visualization and manifestation…? Let’s hope he has a better sense of direction too, wink. I always love the mosquitos that lick off the deet before biting. Photos are almost painting-like this time. As for Browning, I had my suspicions that you were an incurable romantic, FeyGirl. Ah, Barrett & Browning’s story is just beautiful and amazing, isn’t it? I appreciate his dogged perseverance. I would have *loved* to have met them. Obscene is a polite word for what you were thinking. (grin) I know mosquitoes all too well, from the rainforests of West Africa to the wilds of Alaska. And there is nothing like a high Sierra meadow right after snow melt. An army follows in your wake. My worst experience ever, however, was on the Appalachian Trail through Maine where the mosquitoes were joined by black flies and no-see-ums. Oh no…. I’ve only been through their fury a handful of times, and briefly — they’re maddening! I can’t imagine contending with them for any length of time. With all your hiking, I imagine you’ve been through it ALL. Horse flies are almost as nasty as they come… almost impossible to kill… and they dive bomb your head. They aren’t quite as tough as Tse Tse flies, however. Terrific views of this swamp and you know how much I love a good swamp. Thanks so much! LOVE a good swamp. Love it!! I always find it hysterical, in hindsight, when I use my natural insect repellent… It’s just an appetizer for them. My directions are good, but I never tried a swamp, might be tricky. So beautiful photos, Fey Girll. Ha, I thought I was the queen of mosquitoes! They are considered New Jersey’s state bird!! Loved your photos. Heee, really? Actually, NJ has its share of bogs, doesn’t it? 🙂 Very similar terrain in some areas…. My friend call all those biting busy bodies – fascists! Maybe she is right – they certainly are merciless, aren’t they? Hahahah! I love it! I’ll be thinking of that expression every time I’m out there, now. 🙂 They are as merciless and adamant as they come. I could take a lesson from them (well, perhaps in the latter!). LOL — that swamp must be full of mosquitoes. Lovely shots. Wow! I would love to spend some time there! For navigation I’m very spoiled here: good old National Forest maps. I will never trust a GPS: life it too important to me. Oh it’s just gorgeous, these areas. You would have a fantastic time! Unfortunately, for the most part they’re few and far between — humans have dredged up so many of these lovely swamps, so they’re a fraction of their original size. I too rely on the maps and markings, but in this case… I ran into a sustained burn, and ooops! Where to go. That’s when my sense gets thrown out of whack even more. I love that you love, the forest. Well….I totally have your experience of nature. The quote is lovely, as are your pictures. 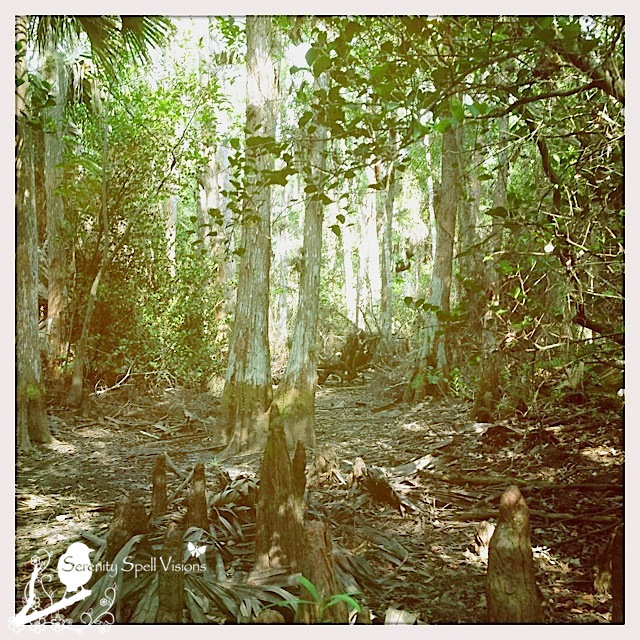 Hahaha I’m sure you’ll find someone who doesn’t mind a mosquito infested swamp one day….I can vouch for the fact that they are out there…one of the first outings I had with my future husband was to a wood where we were attacked by mosquitoes! Thanks so much!! And awww, that’s wonderful — I know they’re out there! You’re so sweet. I just have to be ready for ’em, I think. 🙂 I love the fact that one of your guys’ first outings was a mosquito-infested wood, hahah!!! LOVE it. Excellent info on these habitats. I didn’t know about them. Thanks so much…. You would LOVE these spaces, I just know you would. They’re absolutely magnificent! So very peaceful. What a beautiful spot you found! There are so many such spots in our wonderful world. It just takes a little effort to find them, a lot of work to save them and a lifetime to enjoy them. What a great commentary… You really did sum it up PERFECTLY. I adore this place, but it breaks my heart to think that it represents only a fraction of what used to exist. Hopefully we have more knowledge now – I pray we do, for this beauty. The word mosquito is essentially the same as the word musket. Sounds like the mosquitoes in your swamp were deadly weapons indeed. Wow…. Did “mosquito” really come from “musket,” or have the same origins? Really? If that’s the case, I truly have a new respect for these $#%!. Not that I wasn’t already in awe of their power (continued scratching, continued scratching…). The Italian word for a fly is mosca. The diminutive, moschetta, literally ‘a little fly,’ came to be used as a fanciful name for the bolt (the arrow) of a crossbow. Then Italians started using the masculine diminutive, moschetto, for the crossbow itself rather than just its bolt. By the time French borrowed the Italian word in the form mousquet, the scope had expanded to ‘portable firearm,’ which with advances in weaponry came to mean what English, borrowing the French term, called a musket. And so you have another case where entomology meets etymology. That is utterly fascinating. Did you study linguistics, or learn that from entomology? I can’t wait to share this with my brother, who studied Latin / linguistics. I’ll have to teach my sieve-brain to retain as much of this as possible if I’m ever on a hike with anyone, too… This is fantastic. Yes, I did study linguistics. I know a lot more about etymology than about entomology, but insects make cuter subjects for photographs than words do. A recent issue of the magazine (which I looked at in my dentist’s office but which I don’t think is available online unless you’re a subscriber) had some more information about repellents using citronella. Ah, thanks so much for this! I actually have been using the non-deet “Bite Blocker,” and I think I can hear the enormous mosquitoes (and horseflies) laughing, as they bite…even more. It’s like the Bite Blocker’s an appetizer. On my hike today, needless to say, the “Off” came out. I’ll look for / order that issue, though – it’s worth it! I laughed and laughed at montucky’s comment. I understand that the GPS is a wonderful tool, but it’s only a tool and can be as fallible as any other. I used one once, in the middle of Kansas while looking for a cemetery. It did just fine, except for the fact that it didn’t alert me to the bridge that had washed out in the middle of the night. Ah, well. Lucky for me that I have an excellent sense of direction in nature. In the middle of a city with no grid, it can be tougher. I still can’t get over the whole concept of “swamp”, and its essential liveliness. I grew up imagining every swamp, even the greatest, as “dismal” – filled with muck and scum and dead, stagnant water. Not so much, as I learned on my first foray into a true swamp in Louisiana. I fear I’ve dallied too long for a spring trip back to the Louisiana swamp. Now, I’ll have to wait until fall when it cools a bit. Our specialty here are tiny little mosquitoes that can barely be seen. I’ve heard them called “salt marsh mosquitoes”. The city folk get big ones, like the Asian Tiger, that you at least can see to swat. Those marsh mosquitoes? Nothing but a whine in your ear and itching everywhere! I can guarantee you right now… That I would get lost with a GPS. Undoubtedly! First I would have to learn it, and that’s an enormous hurdle in itself… Hahahah! But you’re right. They only get you so far. But oh, the buggies. I can’t fathom *tiny* mosquitoes! Haa! Everything’s big out there. And this is just the sub-tropics! I love what you did with these images. It really takes me back to old Florida in the 1940’s. Still no GPS ? What’s with you girl? We can go and have you getting lost now. STILL no GPS! I’m a moron, honestly! I swear…. What an incredibly sweet comment…. Thanks so VERY much! It’s hugely appreciated. 🙂 The trees are some of my favorite creatures, as you can see. Wow what an environment. I feel like I can almost see a dinosaur coming through the trees.. It really is a beautiful, fascinating — and totally unique! — environment! Very wild, too, when you get out there. 🙂 I just hope that we can continue to preserve these last lovely wilds. 4:03 am. And Inspired. – Lead.Learn.Live.